Are you looking for water heater replacement in Bergen County, NJ? 1st Choice Plumbing, Heating and Drain Service is a professional plumbing and heating company providing customers with water heater replacements in Bergen County, NJ. At 1st Choice Plumbing, Heating and Drain Service, we are fully licensed, insured and bonded technicians. Our staff has experience performing water heater replacements in Bergen County, NJ for all types of water heaters including gas water heaters and electric water heaters. If you are not getting any hot water or are experiencing weak water pressure, our professional technicians at 1st Choice Plumbing, Heating and Drain Service can help. We will arrive to your home or business as quickly as possible and determine the right solution for a water heater that lasts for years. If your water heater is beyond a water heater repair, we carry top-brand water heaters for your water heater replacement in Bergen County, NJ. At 1st Choice Plumbing, Heating and Drain Service, we provide our customers with the option of purchasing your own water heater or choosing from our quality selection of water heaters. No matter where you choose to purchase your water heater, our technicians will perform water heater replacement in Bergen County, NJ with the heater you request. Our water heater replacements in Bergen County, NJ are available 24/7 for your convenience! For more information on our water heater replacement in Bergen County, NJ, call 1st Choice Plumbing, Heating and Drain Service at (201)288-0390! 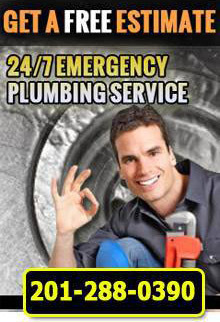 1st Choice Plumbing, Heating and Drains - Your trusted source for water heater replacement in Bergen County, NJ.